In the wake of former Police Commission President Julius Turman’s death last Saturday evening, friends and colleges remembered the Alabama native as a man with a quick wit and fighting spirit who was committed to public service until the very end. At the time, both were young, hungry to do good and had their eyes on City Hall, Campos said. “We both knew that we both wanted to be in public service,” he said. Turman’s journey to San Francisco, where he became president of the Police Commission during one of the city’s most difficult periods, was far from predictable — but it’s clear that his upbringing shaded his unusual combination of compassion and grit. Julius Lawrence Turman, the third of six siblings, was born on July 15, 1965, in his grandfather’s Montgomery, Alabama, home, said his older brother, Charlie Turman III, who moved to New Mexico after retiring from the auto industry. Their parents were Charlie Turman Jr. and Cleo Dillard Turman. When Julius was only a few months old, his parents left the South and moved to Lansing, Michigan, where they found work in the auto industry. His mother went on to become a nurse for Alzheimer’s patients. Julius was aspirational from an early age, excelling in academics and sports, particularly football and wrestling. Charlie and Julius also sang together in the choir. Charlie also remembered his brother as a “fighter,” one who would stick up for others including his older brother and friend named Julie, who kids often picked on. “He’s always been that way,” Charlie added. Turman graduated high school in 1983, moving on to the University of Michigan, where he majored in political science and became the president of his fraternity. In 1993, he graduated with a Juris Doctor from Rutgers Law School in New Jersey. He clerked for Judge John J. Hughes in the District of New Jersey, and later served as an assistant U.S. Attorney in New Jersey. Then, around 1998, Turman moved to San Francisco to take a job at Howard Rice, a private law firm where he met Campos. “He wanted to be in a place that was more accepting,” Campos said. As Campos moved to the public sector, Turman remained in the world of private practice, becoming a respected labor and employment lawyer who eventually headed the office of Constangy, Brooks, Smith, and Prophete, a workplace law firm. Before serving on the Police Commission, he was a co-chair of Alice B. Toklas LGBT Democratic Club. He was also a lawyer for And Castro For All, an organization that seeks to foster inclusion in the community. 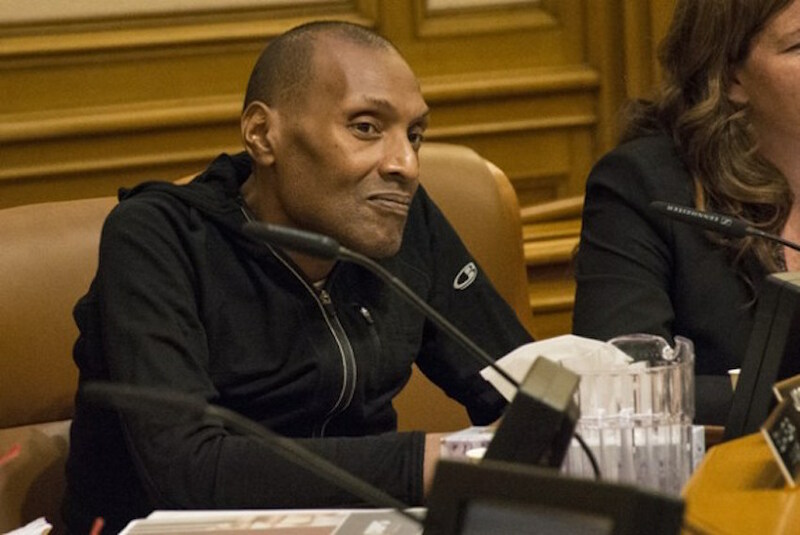 Beginning in 2011, Turman replaced Jim Hammer on the San Francisco Police Commission, a body tasked with setting the San Francisco Police Department’s policies and conducting disciplinary hearings on officers. “As an African American gay man, he always understood the criminal justice system had an important role in people’s lives, and he wanted a police department that was responsible to communities of color,” Campos said. Former Police Commission President Suzy Loftus agreed. He was attracted to the commission because of “his understanding of the challenges of the African American and the LGBT community have felt with police,” she said. 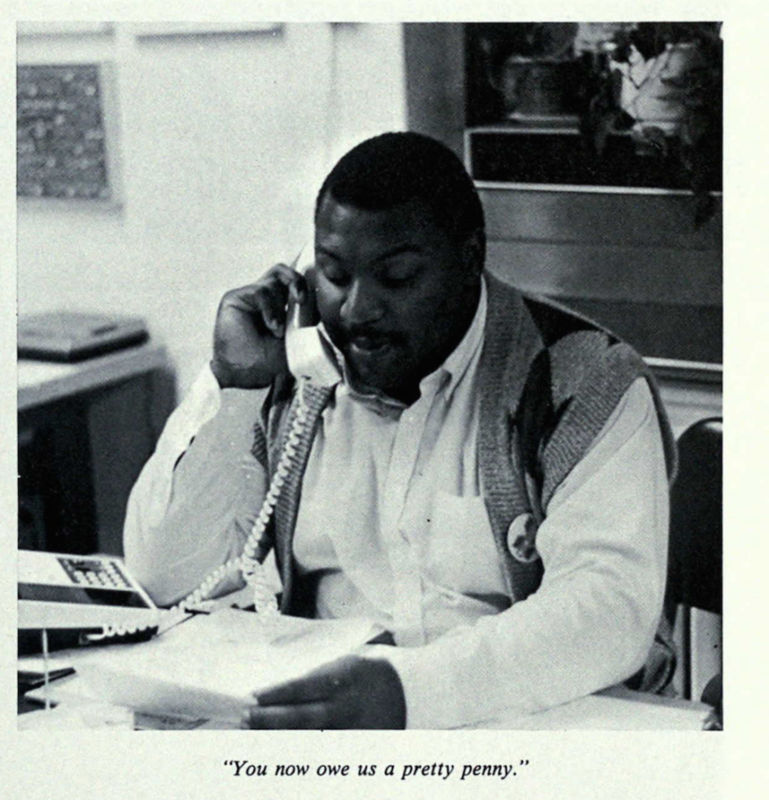 Turman’s sense of civic duty was present even as he served as vice president of his fraternity in 1987. In this role, he organized events such as Alcohol Awareness Week as well as workshops dealing with career issues and sexual assault awareness. Reverend Dr. Amos Brown of the NAACP, who met Turman as the city’s African American community was reeling in the wake of the Ferguson, Missouri, protests, said Turman was especially active during that time. “It was because of him that San Francisco was spared the trauma and challenge in the black community with the police department,” Brown said, noting that Turman made it a point to meet with the faith community as the city confronted a minority community that was increasingly angry about the SFPD. “He was a person who listens,” Brown added. Before joining the commission, however, some questioned Turman’s fitness for the role after domestic abuse allegations by a former boyfriend, Philip Horne, surfaced. Kamala Harris, then the San Francisco District Attorney, declined to file charges in 2007, but Turman settled a civil lawsuit with Horne for an undisclosed amount. Nevertheless, Turman won the seat and remained on the commission for the next seven years. He became vice president of the commission in 2014 and president in 2017. “There wasn’t a time we weren’t talking every day,” Loftus said, even after she left the commission. As president, Turman facilitated the department’s revision of its use-of-force policy, the implementation of body-worn cameras and the historic but controversial vote to arm police with Tasers. “His time on the Police Commission was very personal, and a labor of love,” said Loftus. During meetings, Turman could be feisty, preferring hearings to move quickly and sometimes scolding people for holding things up. It did not matter if you were a public commenter, commissioner, or a high-ranking officer — Turman was intent on keeping things moving. He also had an eye for detail and a fierce belief in the commission’s power. Those close to Turman, like Loftus, Campos, and his brother Charlie, said that Turman enjoyed traveling and living the high life with parties and fine dining. He would hold an annual Christmas party at his house, which Loftus said was filled with books. She noted, too, that Turman was somewhat of an Anglophile; the two would talk about the Royal Family. She said they joked that their only disagreement was that Turman was part of “team Camilla” (in reference to Prince Charles’ decision to make Camilla Parker the queen after Queen Elizabeth’s death). Loftus declined to comment on Turman’s illness. But DeJesus, Campos, Brown, and even his brother Charlie, all said they knew Turman was ill, but did not know to what extent. “We knew he was ill and not how ill, and we knew he was private about that,” Campos said.